Paris, France and Venice, Italy are often associated with being the places to go for a romantic getaway. 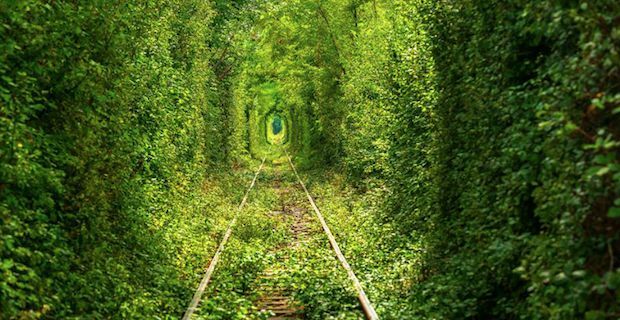 But the eastern part of Ukraine has some surprisingly romantic places as well, one of them appropriately nicknamed the Tunnel of Love. Far off the tourist path, roughly 350 kilometres away from Kiev is a place called Kleven with a population of around 7,500 people. 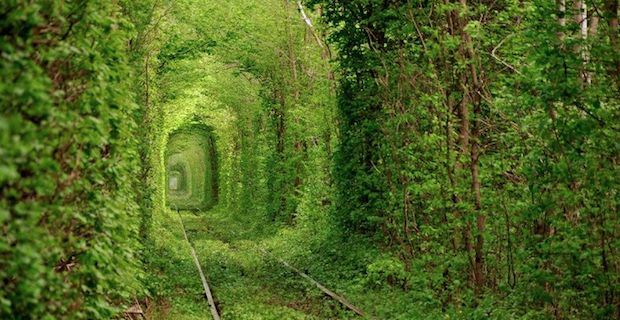 Local young romantics often go for a stroll to a place of natural beauty called the Leafy Green Tunnel of Love. 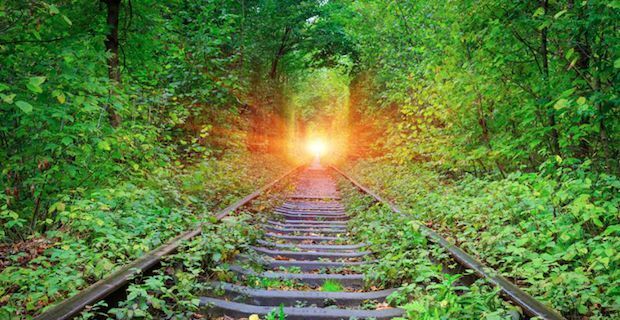 This 1.8 mile stretch is covered on both sides with dense green trees which stretch above a pair of railroad tracks in the shape of a tunnel. The green arch formed by the trees create a perfectly shaded pathway for couples to pose for photos and enjoy each others company. The railroad track is still used by a private train which brings wood to a fibreboard factory three times a day. Because of the frequency of the train, the trees tend to stay in the shape of a tunnel and never completely take over the path. The saying goes that if the couples are sincere in their love, their wishes will come true here. The most romantic time to go for locals is in the spring when trees are covered in green, but an equally beautiful time to experience this place is in the winter when it transforms into a natural winter wonderland.